Pleurisy. 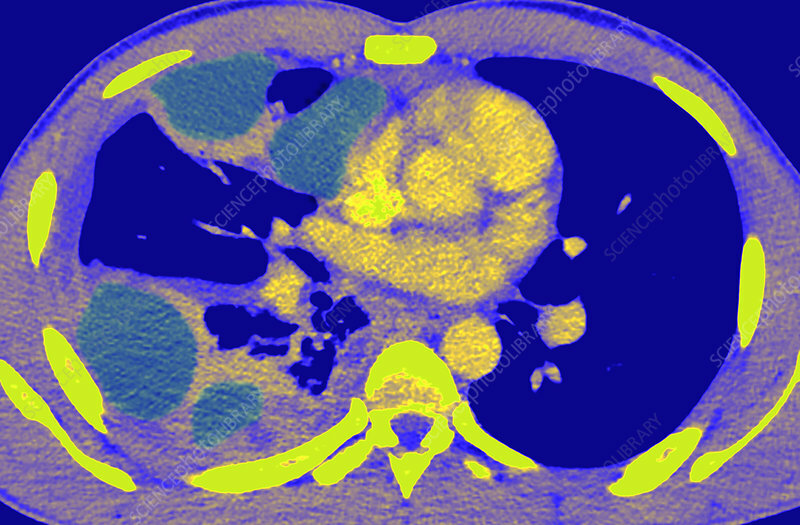 Coloured computed tomography (CT) scan of an axial section through the chest of a 22-year-old male patient with purulent pleurisy, showing the thickened pleura and pockets containing pleural fluid (green) in the lungs. Pleurisy is an inflammation of the pleura, the lining surrounding the lungs. It can be caused by various conditions, but viral infections are the most common.